Orissa Drugs & Chemicals Ltd. (ODCL). Bhubaneswar was set-up as joint sector unit with Government of Orissa in May, 1979 with authorized capital of Rs. 160.00 lakhs and paid-up capital of Rs. 132.15 lakhs. The Share if IDPL in the paid-up capital is 51% and that of Industrial Promotion & Investment Corporation of Orissa Ltd. (IPICOl ) is 49%. 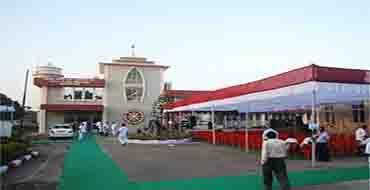 ODCL Plant is having production facilities for Injections , Tablets , Capsules , Liquid Orals and O.R.S . The plant is backed by Q.C Lab. for maintaining Quality .